Danish Warranties are 180 days, 12 months, 2 year. DNC Electronics GmbH offers to Denmark one of the brightest economy's in the world with its highly motivated and educated workforce with excellence in mechanical engineering production, such as electronic goods, power units engine controls; as well transport production such as ship building. Other industries exist reliant upon CNC machine tool servicing, maintanence, and part distributors, as well as CNC machine tool manufacturers and new and second hand MT dealers. 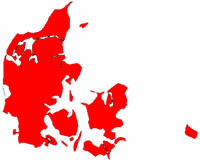 Covering all area's of Denmark including: Copenhagen.